Asia, home to 4.4 billion people, over 60% of the worlds population. Most of these people have never encountered the love of Jesus in a loving and healthy local church. We need your help to change this! Come and be a part of what God is doing in the local church in an Asian mega city. 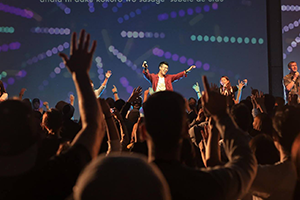 Lifehouse is a young and dynamic International Church with locations all over Asia. 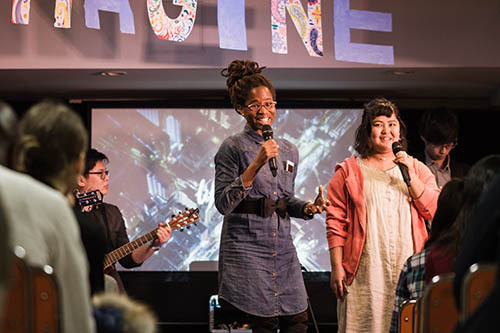 Launching in Tokyo in 2002, Lifehouse has grown rapidly into a global Church planting movement. What began with a group of 10 young missions interns from Australia lead by founding and Senior Pastors Rod and Viv Plummer, Lifehouse has quickly expanded and has 16 locations across Asia, with more to come! Mission teams to Lifehouse are all about building the local church in Asia. Team members enjoy a life-changing missions experience that will grow their faith, broaden their understanding of the Global kingdom of God, and provide valuable practical training in ministry skills. All of this happens in the context of a healthy and life giving local church, that will continue to reach the people that the team has bough along to Church. The Lifehouse Mission Teams experience Internship is designed to build a local Church location, by connecting and inviting people to Sunday Church. If your Church would like to get involved and leave lasting fruit with your missions programs, please get in touch and we’d love to welcome you! This experience is sure to change the way you understand the world of missions. Watch this short video to get a taste for what a Lifehouse Missions Team Trip is like! Help a local Church reach people for Jesus and leave lasting fruit. Our Sunday services are a celebration of Jesus with practical applications and salvation opportunities. We love to have fun. All outreaches and events will be a great experience and a lot of fun! Connect with us for an online video call. Confirm the location, budget and dates. Contact with the Local Church Pastor & our missions coordinator. A life-changing experience in an Asian mega-city that will both stretch you and leave behind lasting fruit (changed lives!) in a local church. Practical help and assistance during the week with staff or volunteers. Simple, clean and safe accommodation. Opportunities to further apply and develop your ministry skills, and discover and further understand the unique call of God on your life. Support from your Church and pastor. Ages 16~35 will work best. Complete 5 step application process. The team to Love Jesus, the local church. Open your heart to Asia and its people. Heart to reach the lost, meet new people, and serve the church. Strong motivation, work ethic, and a “can-do” spirit (willingness and desire to get in there and try and do whatever it takes!). Willingness to follow a schedule.